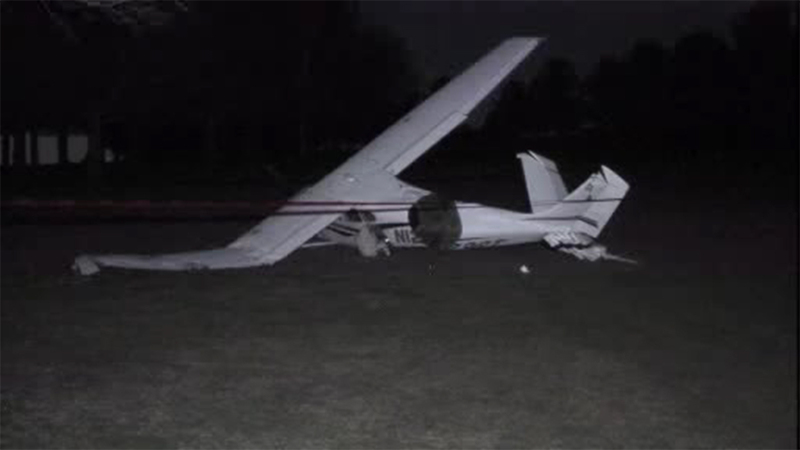 The Federal Aviation Administration is investigating after a small plane crashed on a golf course in Montgomery County. UPPER HANOVER TWP., Pa. (WPVI) -- The Federal Aviation Administration is investigating after a small plane crashed on a golf course in Montgomery County. It happened shortly after 2:30 p.m. Sunday in Upper Hanover Township. Montco Radio tells Action News the people onboard the plane were not injured. The plane crashed on the Butter Valley Golf Port, shortly after taking off from a runway on the same property. It's not clear what caused the plane to crash at this time. Butter Valley is both a golf course and public landing strip for small planes.